There’s an interesting moment near the end of a new online interview with the Duke University’s David Morgan, Chair of his Department, when he reveals far more than he might imagine. To be honest, I think he’s missed just how dogmatic he’s become — but that’s what comes from occupying a position of dominance. For, as I read it, he’s articulating a pretty standard view in our field: there’s obvious stuff that we all know is out there (i.e., “our evidence” or the “subject-matter”) and then there’s the tools we use to talk about it in this or that way, that help us to see it in a new light. The former is real and primary, whereas the latter is helpful, I guess, but we all know it’s secondary and nonessential. Only studying the former counts, then, since people who study the latter are — yes, you read him right — theory-wonking, engaged in a “pointless” exercise. Why is this evidence of a luxurious position? Because, as someone who thinks of himself as a social theorist, I can’t image dismissing (and if you read that quote as anything but an outright dismissal then you’re kidding yourself) people who study, say…, religion and visual culture, by saying that, honestly, they’re descriptivist-wonks who do pointless work. What’s more, what if I went on to say that it is quite true (luckily, truisms require no evidence) that some of the worst writing (we all know what counts as the best writing, right?) in the last century has come from people who do old school phenomenology but repackage it as trendy “material religion” or “visual culture” and the like. But, as I might go on, that’s no excuse to avoid their work; so grad students beware: you really should figure out how to endure — that’s right, endure, as in to undergo a trial, suffer through, persevere, tolerate, put up with — those material religion seminars because getting through them is a rite of passage. The luxury of dominance is that you can get away with off-the-cuff statements like this and the last thing anyone would call you is dogmatic and anti-intellectualist, or ask for evidence and argumentation. Instead, his words are probably read as showing an enviable command of the field and a benevolent generosity toward those whom we all already know to be, you guessed it, wonking. “overly studious person,” 1954, American English student slang, popularized 1993 during Clinton administration in U.S.; perhaps a shortening of British slang wonky “shaky, unreliable.” Or perhaps a variant of British slang wanker “masturbator.” It was earlier British naval slang for “midshipman” (1929). When I was a doctoral student, sometime in the late 1980s, I recall Will Oxtoby (d. 2003)–then a professor at the University of Toronto, member of my doctoral supervisory committee and, a few years later, editor of a very popular two volume world religions textbook–saying that theory was like a snowblower (using a suitably northern analogy to make his point); “it helps you to move things around,” he said. So without theory — without a self-consciously employed system to distinguish and then focus attention on a this as opposed to a that — there is, it seemed to me then and still does, nothing to sort through and arrange, for we have no way to mark anything as significant and worth talking about. There’s something about those who see themselves as working (a change of just one consonant makes such a difference, eh?) 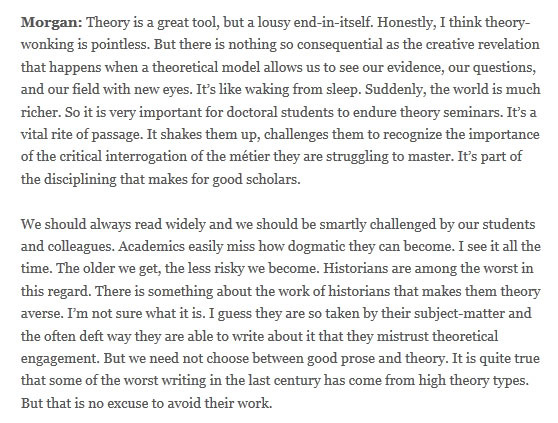 on the margins that makes them attuned to theory as the means of deciding what gets to count as subject-matter and as evidence (or, according to Morgan’s interview, who gets to count as a legitimate scholar). After all, anyone paying attention to a trial knows that the juiciest parts are the pre-trial hearings where what gets to count as evidence, what gets to count as something the lawyers can talk about, is hammered out — cases are won or lost there. So calling a focus on that same moment in scholarship — the means by which signification and identification take place, the set of assumptions that allow us to see ourselves as working in a field to begin with — as pointless wonking is, to me, mere name-calling and thus a lamentable commentary on the state of our field and its level of discourse. 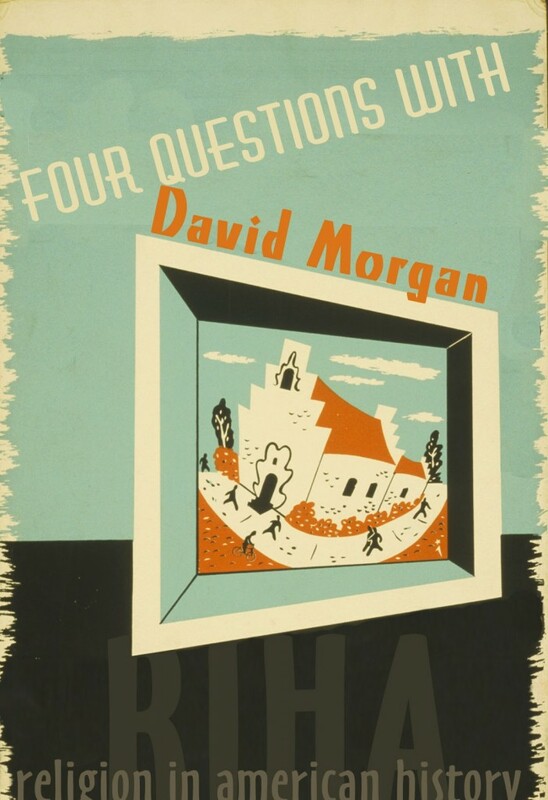 This entry was posted in Faculty Blog, Religion in Culture and tagged Culture on the Edge, David Morgan, Identification, Material Religion, Phenomenology, Signification, theory, Visual Culture, Wanker, Willard Oxtoby, Wonk, Wonker, Wonking by Russell McCutcheon. Bookmark the permalink.